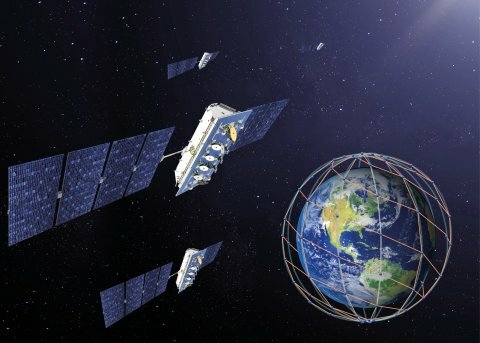 LeoSat Enterprises, which is launching a constellation of low-earth-orbit communications satellites providing the fastest, most secure and widest coverage data network in the world, has entered into an agreement with Hispasat, the Spanish national satellite operator, to invest in LeoSat, both companies announced today. With this agreement, Hispasat joins Asia’s largest satellite operator SKY Perfect JSAT, in the growing trend for satellite operators to future-proof their communications solutions through the development of low earth orbit (LEO) capabilities. Hispasat is one of the only satellite operators to have achieved continuous growth over the past years thanks to a strong focus on innovation and smart long term investments. With the investment in LeoSat, Hispasat finds a perfect complement for its geostationary fleet and expands its scope significantly towards new verticals that will define the data market over the next years. The investment in LeoSat underlines their firm belief in the unique attributes of LeoSat’s new low earth orbit network architecture to ensure further growth in the future. Combining advanced on-board routers with inter-satellite laser links, LeoSat is creating an optical backbone in space, providing fiber-like low-latency and gigabit per second data delivery which is ultra-secure and extremely resilient, thanks to its gateway independent meshed-network data-connectivity from transmitter to receiver. This solution will provide LeoSat and its partners with valuable new business opportunities in the growing data and mobility markets in sectors such as telecommunications, multinational enterprise, maritime and government services by ensuring previously unavailable levels of network performance combined with worldwide reach. With the ever-increasing demand to move large quantities of data quickly and securely around the world there is a growing interest in the major performance advantages of communications networks in LEO. The unique features of LeoSat’s system – ubiquity, low-latency, speed and cybersecurity – are ideal for a number of applications, such as to enabling global 4G and 5G satellite connectivity for cellular operators, providing the bandwidth required for energy, maritime or financial sector operations, delivering secure networks for government and defense communications, ensuring critical emergency communications and enabling Internet access and connectivity for remote communities. New York based GH Partners acted as lead financial advisor to LeoSat Enterprises.